Pancet shrimp cultivation of course not exactly easy to do, the level of unsuccessful shrimp pancet farming is quite high due to the mortality rate and viral disease that attacks the shrimp. But for you shrimp enthusiasts do not have to worry about the difficulty of finding the raw material of shrimp that you will consume, we as one Supplier Pancet Shrimps proudly present this delicious processed meal for you. 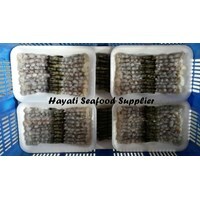 In addition we also Sell Shrimp Vannamei IQF, Individual Quick Freezing (IQF) itself has the advantage of faster processing stage or more efficient. Vannamei shrimp itself is a type of shrimp introduced from South America which is widely cultivated in Indonesia since the late 90's. Physical characteristics of this type of shrimp compared to other types of shrimp that is smaller size. 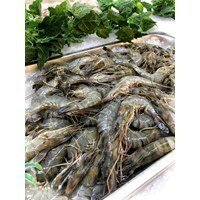 Foods derived from the sea is certainly already a favorite of many seafood enthusiasts, shrimp flavor with sweet and savory taste, but it also takes shrimp does not take a long time. Fill 5-7 per kilo Ready between Jakarta areas Goods Fresh, directly from farmers, but if you request the frozen, we are also available. Just info, to keep the goods remain fresh, frozen food should not be left too long in room temperature, max. 5 hours depending on freezing. One type of shrimp that is quite potential to be developed is vaname shrimp (Litopenaeus vannamei). This cultivation develops with intensive technology, but is limited to the upper middle class (capital intensive) community. Shrimp is known as a food source that has very high protein and water content, therefore it is included in the category of food which is easily damaged or easily contaminated by decomposing bacteria. 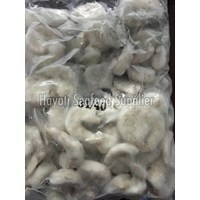 The freezing method used to maintain shrimp quality and freshness is one of the IQF (Individual Quick Freezer) methods. The IQF freezing method (Individual Quick Freezer) aims to make each piece of shrimp frozen without sticking to each other quickly, continuously and not cut into pieces. Tiger ShrimpThere are many types of shrimp Indonesia, with the characteristics and peculiarities of each. One is the pancet shrimp, fresh seafood is a commodity that is much favored by consumers. Popular as well as tiger shrimp, have thick skin and hard. Bluish green with transverse rather dark. There is also a reddish color with reddish brown transverse lines. Aquaculture species of shrimp is rather difficult, because the level of mortality and high viral disease that causes the farmer a bit confused. But for those of you who want to enjoy this shrimp dish can buy shrimp pancet as our supplier.Fresh Tiger ShrimpThe shrimp contains Vitamin A, B6, B12 and calcium. Rich in omega 3 EPA, DHA and omega-6 AA. Fat and low cholesterol. How to consume too easy, for example, can be boiled fresh shrimp, sweet. Created spiced, fried, grilled, etc. Frozen food itself does not use any preservatives, this method locks the nutrients in it, just have to go in the refrigerator or freezer to remain durable but still healthy. 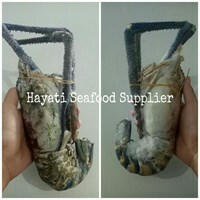 Welcome to Toko Hayati Fresh & Frozen Seafood Supplier. We are a company that established since 2015 engaged in industrial Shrimp, Tuna, Calamari, Salmon, Gindara, Dory. We were in Ruko Pluit Timur, Jalan Pluit Timur Blok L.Timur No: 18 . Discover the variety of our best products (Cumi Tube, Ring, Kepiting Soka, FRESH Udang Pancet, Ikan Tuna Dan Salmon, Unagi Kabayaki) with quality and the best price you can get.